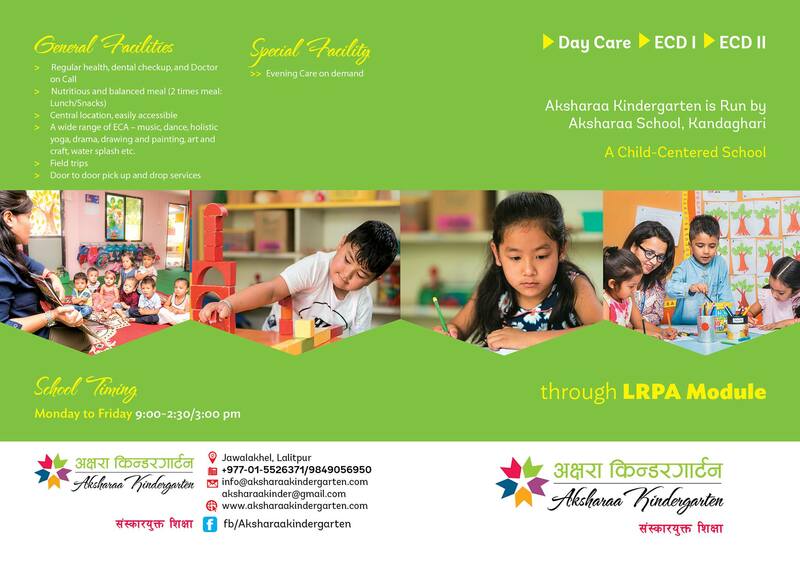 I am absolutely delighted to announce my new venture – Aksharaa Kindergarten, a preschool educational approach for children where learning is fun. I feel extremely thrilled to be a part of this amazing non-tech, education-related journey. Many of you might know that I have been investing in a lot of IT businesses till now. But, the idea of working on a non-tech industry has been simmering away in my mind for years. More specifically, I’ve always had a dream to open my own school or start anything related to education in Nepal since 2007. And thankfully, Aksharaa Kindergarten has made my dream come true. I am very happy to be able to open a kindergarten as my non-tech venture and provide a better pre-school approach to lovely children. A quick history – I have been involved in the education field since the year 2007. I used to teach MBA students back in 2007 for 7 years. Many of you might not know about the fact that I actually am from the Management background and that is what had brought the interest of education field in me. I had been observing the preschool scenario in Lalitpur for quite some time and I’ve found out that there are many facilitated kindergartens but with very high fees. Also, there are a number of small kindergartens as well, but with the poor management system. So, in general, there is a lack of good kindergartens with suitable prices and good location too. I saw the gap and that’s why I was looking forward to building a school and somehow I got the opportunity to connect with the team of Aksharaa School and started a joint venture with them. I feel it is a great project to commence. The reputation of Aksharaa School, Kadaghari has been going well since it first started back in 2011. The school aims to impart world-class education to make the perfect global citizen through self-discovery and learning. Aksharaa School focuses on the overall growth of children with the adequate knowledge development. The team of Aksharaa School has been able to keep their reputation strong and bold since its establishment. It is well-known for its excellent approach towards child-centered education. And now, Aksharaa Kindergarten has been introduced as a branch of Aksharaa School. Aksharaa Kindergarten is a preschool educational approach where children will get to learn new things in a wonderful and charming atmosphere. It is located at Jawalakhel, Lalitpur. 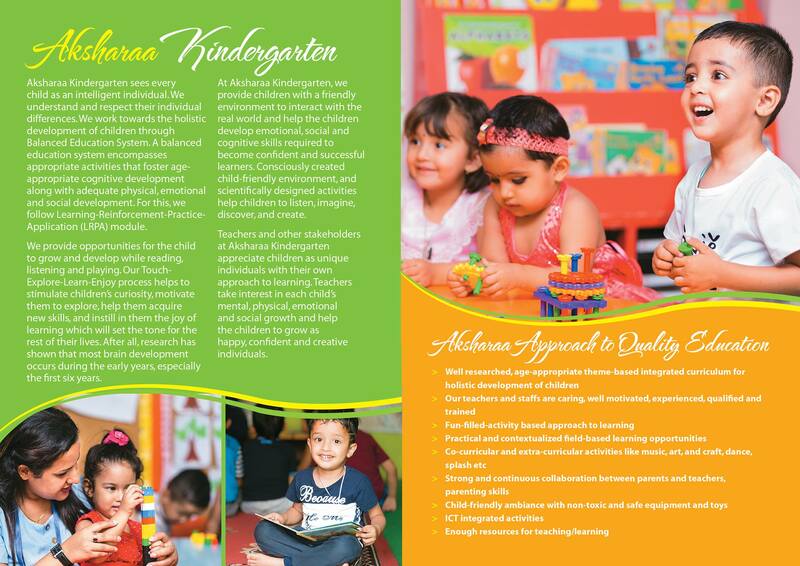 Aksharaa Kindergarten mainly focuses on the holistic development of preschool children. I invested in Aksharaa Kindergarten with expectations that Aksharaa family and our team’s combined management will take the Kindergarten to a new pace. We will be trying our best to make this Kindergarten venture successful with excellent facilities for both children and parents. Another reason why I invested in Aksharaa Kindergarten is that of the love and passion I have for the education and improvement of the educational system in Nepal. That’s why Aksharaa Kindergarten clicked my mind instantly. And I am very happy that one of my dreams have come true. The love and interest for Aksharaa Kindergarten are not temporary for me. It is something that I’ve wanted for a very long time. As Aksharaa Kindergarten is a very fresh school, many of you might doubt about the stability of its existence. And that is totally understandable. But, you do not have to feel insecure because it has been established in collaboration with Aksharaa School – which already has a big reputation among mass and we are running our businesses successfully in Nepal since quite a time now. With all the credibility we have, we definitely can assure you that Aksharaa Kindergarten is going to be staying here for a long time. I am very excited to go along with my new venture. We have so many more ideas about where we’re going to take the business. But most importantly, we need your love and support to grow the Aksharaa Kindergarten family. If you’re interested or want to have a closer look before you join the family, then feel free to visit the Aksharaa Kindergarten at Jawalakhel, Lalitpur, or you can also contact them online. All feedbacks are welcomed with open arms! This entry was posted in Business News, Entrepreneurship, Events, Life, News by sakinshrestha. Bookmark the permalink.